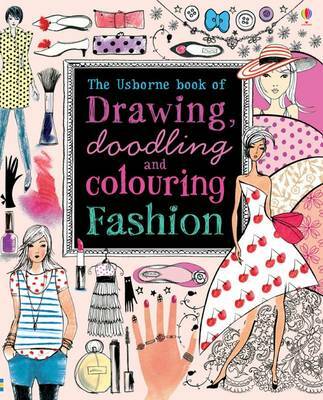 This is an absolutely fabulous addition to the incredibly successful "Drawing, Doodling and Colouring" series, which will appeal to anyone with a flair for fashion or a desire to doodle. Stylish pictures invite you to decorate dresses, fill in shop windows, design fashion items such as catwalk outfits, handbags, jewellery and even children's clothes. You can doodle hairstyles and make-up, draw funky T-shirt designs, design Christmas party dresses and colour in patterns influenced by fabric designs, buttons and bows.